The Mouse 30 Fretted produces the same full rich tone as the Mouse 30 fretless, but for players that prefer a fretted instrument. Slightly softer woods are used on the Mouse 30 fretted, such as an alder or mahogany body, walnut or mahogany neck, and an Indian Rosewood fingerboard to offset the introduction of the metal frets into the string path. The tiny mandolin sized frets are made of nickel silver, and have a minimal amount of mass, so are nicely offset by the softer woods chosen for this model. Due to the nylon outer wrap on the La Bella 760n strings, there is very little noticeable fret wear even after years of playing. 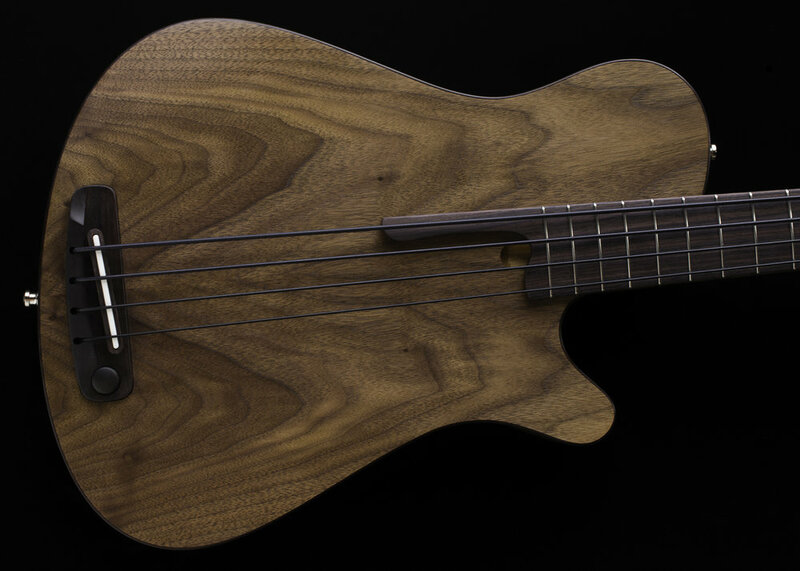 Historically short scale basses have been student or introductory models, however the Mouse 30 Fretted is made to full professional standards from the same quality materials as the Mb-2 models.